Founding Fathers: Architects of a Nation sheds new light on the revolutionary leaders who planned, fought for, and created the United States of America. The men who initiated "the great experiment" of American freedom and democracy are examined here, as are the events, ideas, and profound documents that changed the course of world history. 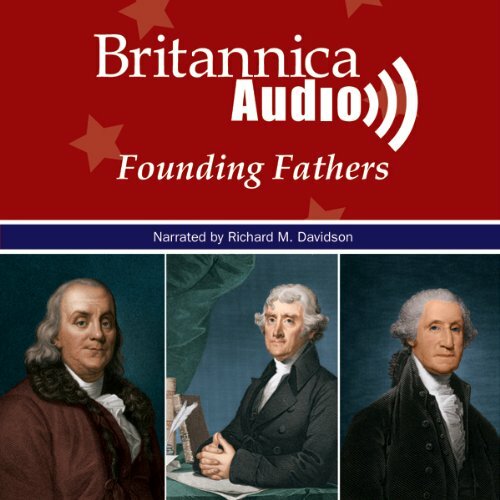 The editors of the Encyclopaedia Britannica have assembled a collection of over 35 articles comprising more than four hours of content that tells the story of America's founders. Though they had different backgrounds, skills, and ideas, the Founding Fathers came together to forge a new nation and persevered against the odds to achieve America's independence. With biographical profiles of more than 30 key figures, you'll learn about the boldness of George Washington, the brilliance of Thomas Jefferson, and the multiple talents of Benjamin Franklin. You'll hear segments giving you insight on crucial events such as the inflammatory Intolerable Acts and the struggles and compromises of the Constitutional Convention. And you will have a deeper appreciation of the Declaration of Independence, the Constitution, and the system of government they outlined. Founding Fathers: Architects of a Nation is about the people who led America from monarchy to republic, as well as the tools they used; but, perhaps more importantly, it is about the principles upon which the American republic was founded.